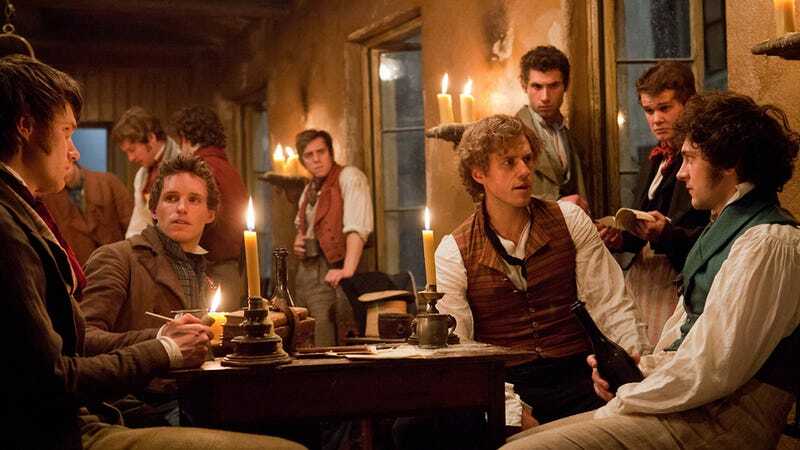 Thanks to Spanish television network La Sexta, you can now watch the entire scene for the upcoming film adaptation of Les Mis's culminating number "One Day More." One thing that becomes clear while watching it (besides the fact that you may have just wet yourself with excitement) is how much the actors with Broadway level experience — like Samantha Barks (Eponine), Aaron Tveit (Enjolras) and Hugh Jackman (Jean Valjean) — are at a huge advantage with this whole live singing thing, while those without it (Amanda Seyfried and Russell Crowe) are a little less impressive. Regardless, I'll take 800 tickets to opening night, please.